Edward’s background is in visual effects, having worked as a compositor on films such as Blade Runner 2049, Inception, The Dark Knight Rises, and the Harry Potter films. This experience gives him an edge in post-production. 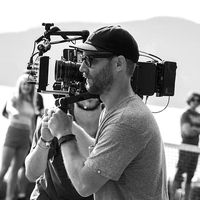 His commercials, music videos and short films span a range of genres from drama to comedy, and have earned him multiple awards and festival recognition. Edward is known for exploring high concept visuals. From whimsical transitions to match cuts, his visual style showcases well thought out compositions and controlled camera work. Focusing on story first, he builds the visuals around the core message of each project, drawing out meaning from the details.